I felt the need to write a blog post about a personal shopping experience. I prefer to write positive posts, but this was one of the worst shopping experiences of my life. 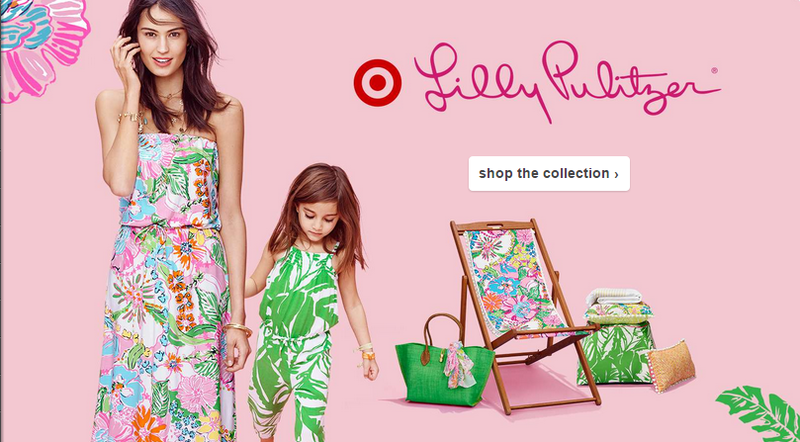 As most people already know, Target released their collaboration collection with Lilly Pulitzer on April 19th. I was excited to get a couple things! 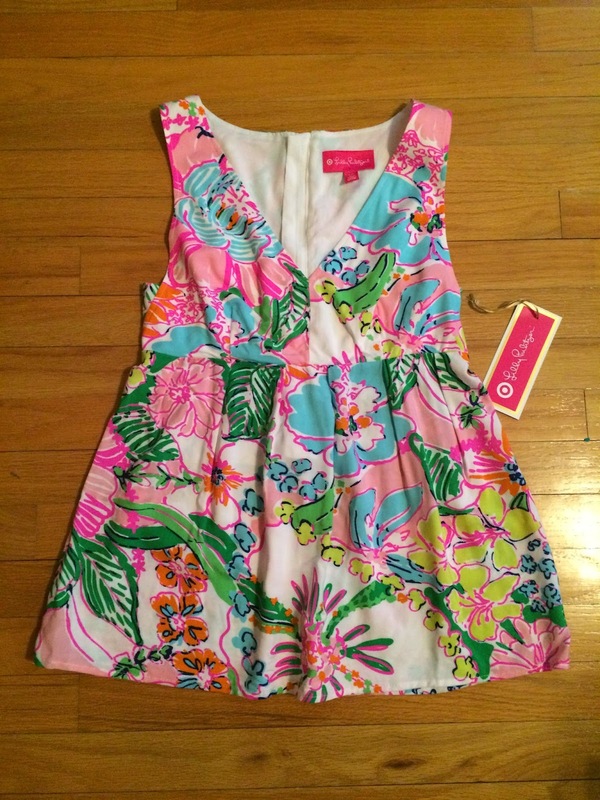 I'm not a regular shopper of the Lilly brand and do not own any "real" designer pieces. 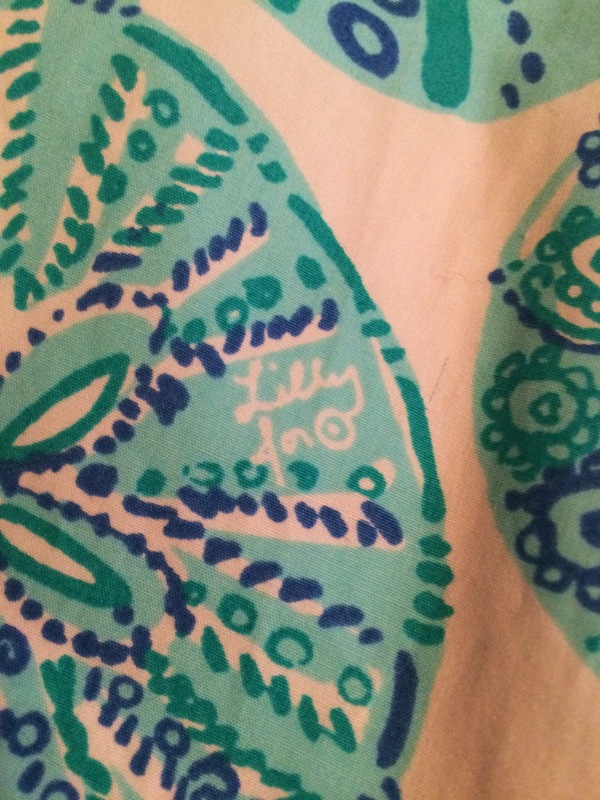 I know this was a collection that regular Lilly fans were not promoting. But I thought a couple things were cute, and I thought they'd be great for a vacation I am taking in July. But, I never thought I would have the experience I did, just trying to buy a couple things from Target. I live in a small town and normally the Target by me, does not get any of the collaboration items, so I was excited we were getting this collection (as well as every other store). And we do not have a Target on every corner, the next nearest one is an hour away. I read up on this sale a bit before it launched and there were tips to shopping and all sorts of media on it. I decided I should try to order online to get what I wanted, since it appeared most stores would not get a lot of the pieces. So, I set my alarm for 1 am EST the estimated time the sale would launch, according to multiple sources. I logged onto Facebook and Twitter to keep up with what was going on with the sale. Well, shortly after 1 am, it appeared people could purchase some items on their mobile devices. I tried and could successfully add items to my cart, but then it would be empty when I tried to check out. I tried several times and it didn't work. After about an hour, I decided to give up. It appeared everything was unavailable at this point anyways. So, then I decided I should set my alarm and go to one of the larger Target stores that would be carrying most of the items in the collection. The store is an hour from my house, and I knew I should probably get there early because there may be a line. Then I saw a Target announcement that they had taken the site down for maintenance and would be launching the sale around 3 am EST. So, I decided to try to order again at 3 am, and was able to successfully add a swimsuit for my toddler to my cart, which was one of the items I had wanted. I checked out and received a confirmation email, but then saw notifications by Target that the site was still down and they were working on it. I was worried my order didn't really go through, so then I didn't know what to do. Should I keep trying to purchase online, should I get up early and try to shop in the store, ugh, I only wanted a couple things and I didn't think it should be this difficult. I tried to call Target's customer service number to ask about my order and if it actually went through, but I was on hold a very long time and eventually gave up waiting and hung up. Then I decided it was silly to drive to a store an hour away that would most likely have a line, to compete with a bunch of people for a couple things. So, I thought I'd have a better chance of getting something at the store in my area, and I doubted there would be a line at my store. Still, I woke up early and went to the store an hour before they opened, just in case. When I pulled into the parking lot there wasn't a lot of cars, so I was happy. There was one girl standing by the door, so I decided to just sit in my car for a little while. Then, I decided to get out and stand at the door in case more people showed up. As soon as I opened my door, many others opened their doors too and started walking towards the Target entrance. I ended up 3rd in line, which I was very happy with. At this point there was about 10 people in line, so we were all chatting about the collection. It was nice and I knew I made a good choice with not going to the larger store. Well, then the first girl in line had a friend come, so I ended up 4th in line, then the 2nd girl had her MIL sitting in the car, so she came out to stand with us, then I was 5th in line. At this point, I started to look at the girls in line and realized they were all my size, ugh. And I knew our store was small and wouldn't get much. I started to get worried, but was very happy with my place in line. As the time got closer to opening, many more people had joined the line and it was starting to wrap around the building. The employees had us line up single file before releasing us into the store. I may be naïve, but I thought we would just all walk to the racks and buy what we wanted. Ummmm, no.... The first 2 girls in line ran, along with everyone else, so I started sprinting too. By the time I got to the women's rack everything was gone in my size, every piece of clothing was gone seconds later. I had nothing in my hand and I felt completely defeated. Why had I been up since 1 am and stood in line for an hour for nothing, absolutely nothing. People frantically ran about the store clearing all the Lilly items from every department. I was able to snag one dress for my toddler daughter, but that rack cleared fast too. At that point I started just grabbing ruthlessy, so I was able to get one in her size. I am not that type of shopper, this was very frustrating to me. And felt so rude, which is not my nature. Then I was sad, and just wanted one thing for myself for all my effort. I decided to sit by the fitting room waiting for people to come out with something they didn't want. Granted, the 2 girls in the very front of the line had cleared the women's department of everything in my size, and every dress in every size. I was devastated. Truly, they had to come out of the fitting room with one item they didn't want, right?!? So, I waited. And as each person walked out I politely asked if they had anything they weren't going to keep. Most ignored me and walked past to pass items off to their friends who had just entered the store. There was one dress that was passed to another girl in my size. She said she'd try it on and if she didn't like it, I could have it. So there was hope, but she came out of the fitting room with the dress on and it looked like it was made for her. There was no way she was giving it up. And I wouldn't expect her to. So, I stayed by the fitting room and waited. Finally, the first girls in line came out of the fitting room. Arms brimming with most of the inventory. I politely asked if there was anything they weren't keeping. They looked at me with a large stack on their arms and said these are what we are keeping. I glanced at their arms, every shift dress and maxi dress in multiple sizes, ugh. On the verge of tears, I just looked at them. Two girls that were very nice, we were all chatting and laughing just minutes earlier. And now so ruthless, without any guilt. They handed me about 5 items they weren't going to purchase, most of which were not even my size (or theirs, since they were the exact same size as me). At this point there were quite a few girls standing by the fitting room waiting for what people didn't want. They flocked towards me as I was handed the clothes. Now, maybe what I should have done was kept everything and bought it and sold it on ebay, for a large mark-up. Which is what it appears many others have done with this collection. But it was not in my heart to do that and many other girls felt the same way I did, so we all rifled through the few cast offs, and everybody was able to get one item, granted they weren't the dresses we were all pining for, but at least it wasn't a complete waste. I got the V-Neck Tank Top in Nosie Posey, which they had 3 sizes of and one happened to be mine. 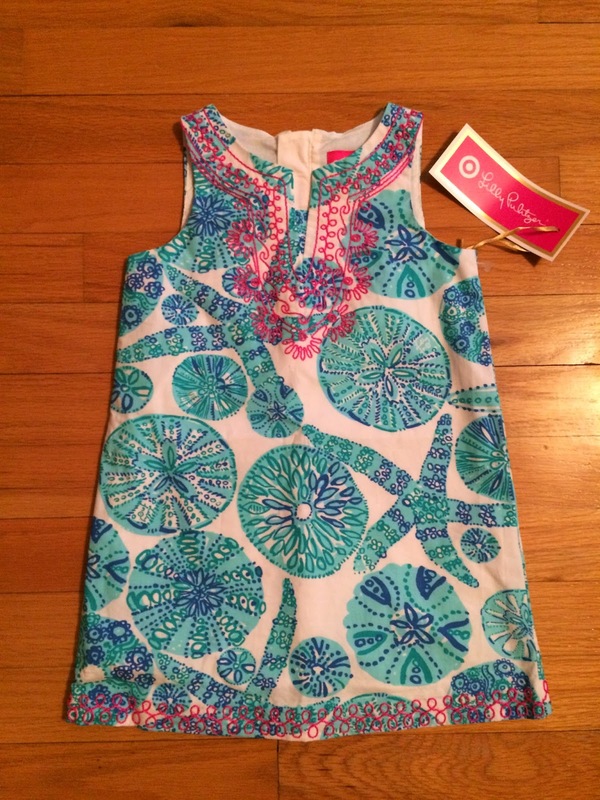 It wasn't the shift dress I had wanted, but it was something and it was cute and fit me well. I had a sense of relief that at least a few of us were able to get at least one item. And I went and checked out with my tank top and daughter's dress feeling very empty and annoyed at how people can treat others, just for a little cash. I only wanted a dress to wear on vacation. I wasn't looking to sell it for an inflated price. Currently, there are over 30,000 listings on ebay from this collection, all at double, triple, or more than the retail price. It really is disgusting. This is the V-Neck Tank Top in Nosie Posey I managed to score. 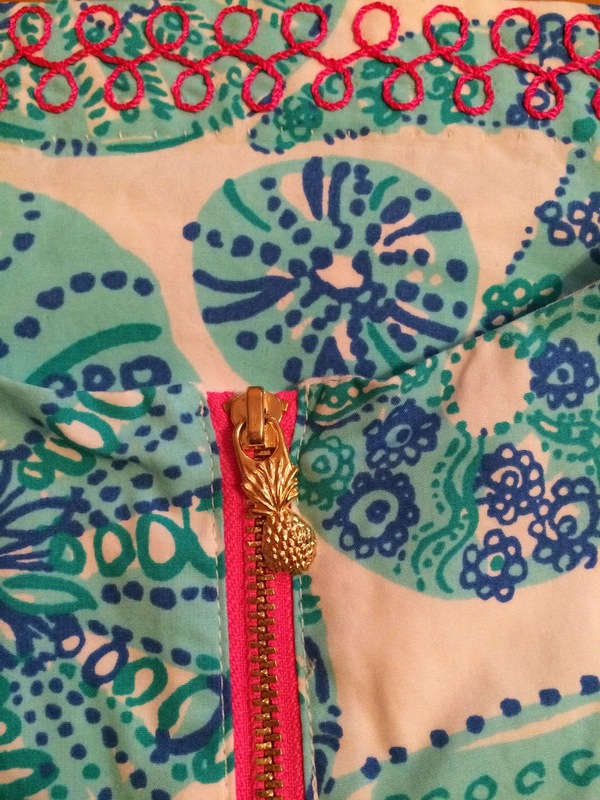 It has an adorable pineapple zipper pull. I love it! 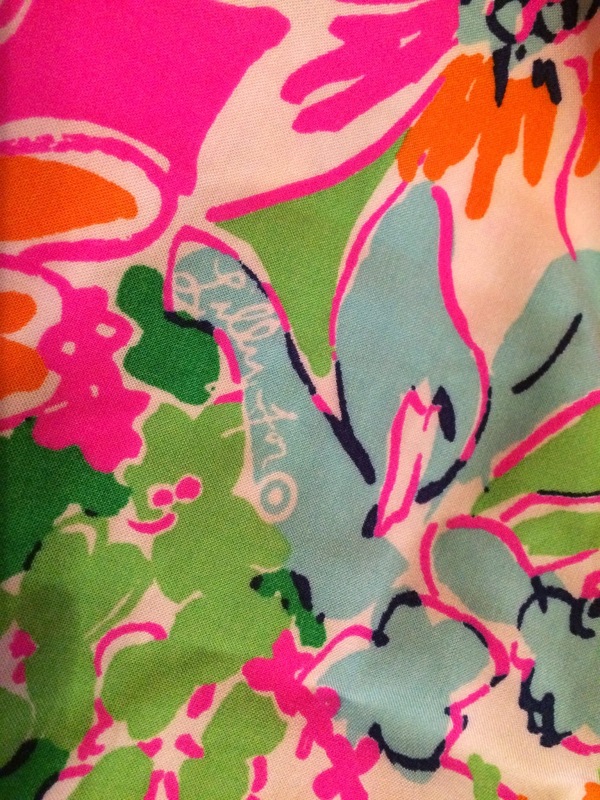 And in true Lilly fashion the brand name is hidden in the pattern of the fabric. This is the Toddler Girls' Shift Dress in Sea Urchin that I was able to grab for my daughter. It would have been adorable if I could have grabbed a matching women's dress. 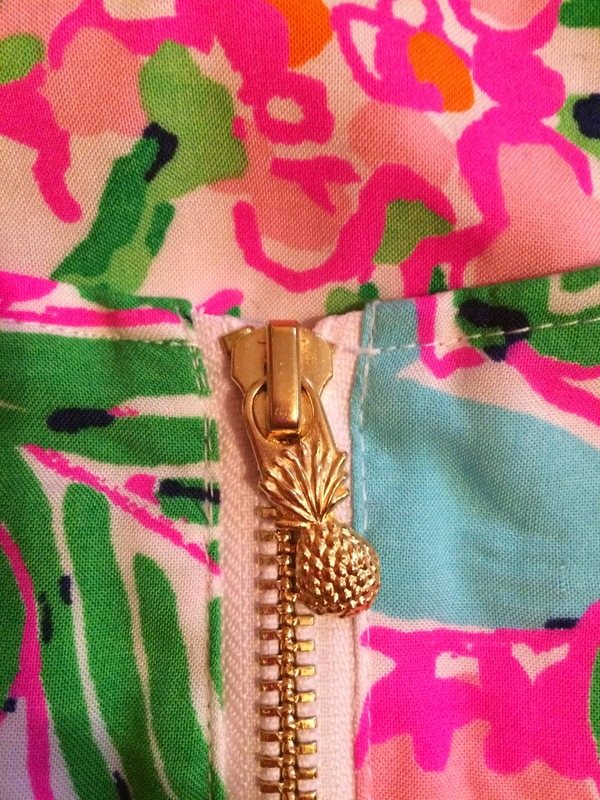 It also has the adorable pineapple zipper pull and cute pink embroidery. And the brand name hidden in the fabric design. I was mad that Target hadn't set a limit to how much one person could purchase and allowed this to happen at my store, and many stores across the country, from what I've heard. And seeing the prices people are trying to sell things for on eBay is truly horrible. It's definitely not worth it for these clothes, and I realized at this moment that I would never be shopping a sale like this in the future, because it just didn't make me feel good. I enjoy shopping and I love a good deal, and I don't mind a little friendly competition. I'll get up early and deal with website crashes, and stand in line to be one of the first at the sale. But I will never grab something out of another person's hand and I will never push people aside to grab an item of clothing out from in front of them. I am not an aggressive shopper and never will be. What is wrong with people, and why do they think this behavior is ok?!? I Black Friday shop every year, and this was something far far worse. Someone made a joke about hunger games before we went into Target that morning. And I laughed, thinking it wouldn't be like that. But I was wrong, and it was like that. This is not what shopping should be.